On this disc, you will find 11 tracks of writing goodness to get you inspired and writing! Writer's block? No worries! Let the muses of E.S. 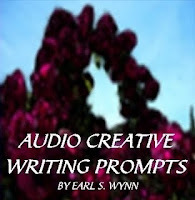 Wynn's Audio Creative Writing Prompts tantalize you into your next project!